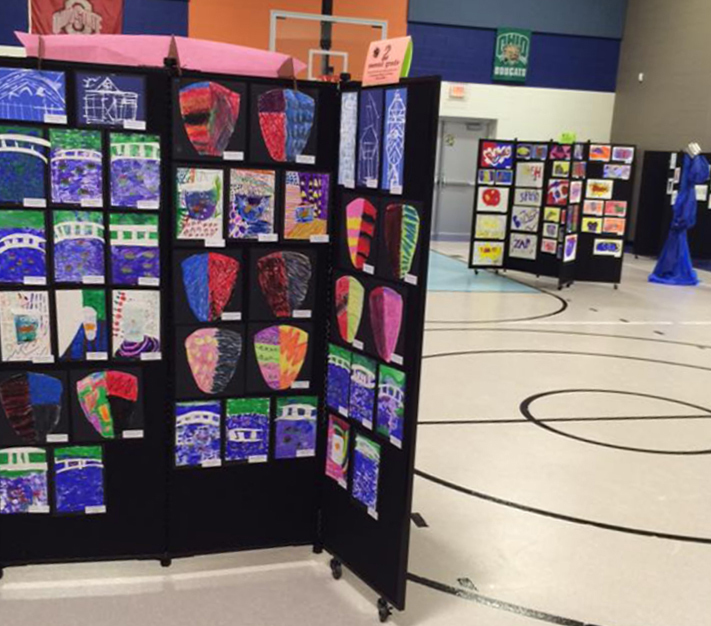 Uses: Art Display, Education, Elementary School, Middle School Lengths: DT 6 Panel Display Tower Heights: 5'-9"
The faculty at the Tarhe Trails Elementary School in Lancaster, OH was organizing their annual art show and began to search what are some good ways to display artwork. They needed a reliable display tower. Additionally, the units needed to be portable as well as tackable. 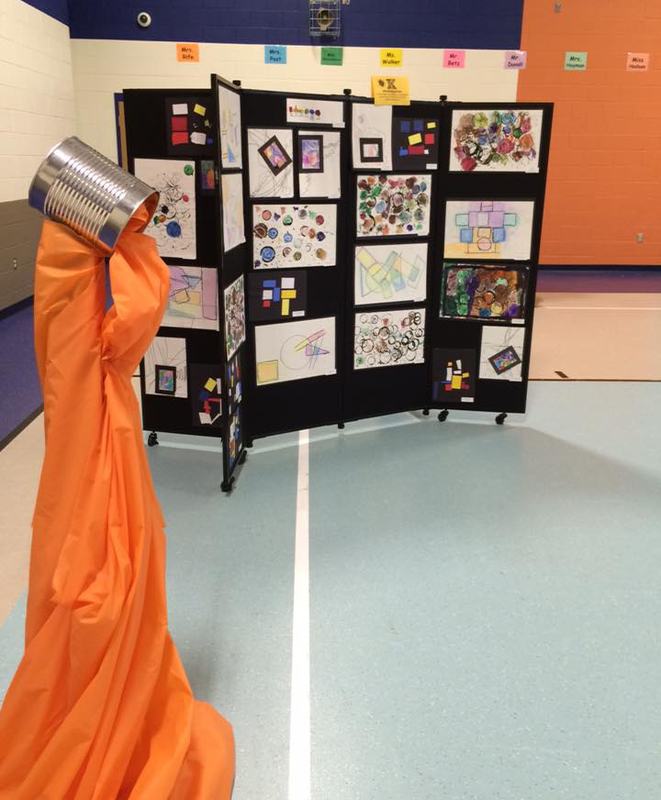 After researching their options, Tarhe Elementary School found their answers in Screenflex Portable Display Towers. The school our 6 feet, 6-panel display towers for their art show. The 6-panel unit allows up to 136 square feet of display area. The units are also available as a 3-panel unit, 68 square feet of display space. Additionally, the fabric surface allows the students and faculty to pin, staple or tack items to the panels, without causing any damage to the unit. Screenflex Display Towers are available in 38 Colors. Select the best Colors display tower for your space.